Dr. Jennifer Hurd began her college teaching career at Arkansas State University-Beebe. At this community college she designed the Developmental Reading Program and taught Developmental English. 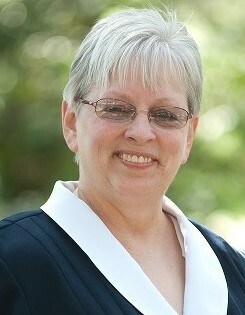 Jennifer was instrumental in creating the Freshman Seminar Course at ASU-Beebe, and she wrote the Freshman Seminar text. She served on the Developmental Education committee appointed by the Arkansas Legislature to develop the cut-off scores and requirements for the Developmental Education program in Arkansas. The work of this committee produced the law that controls Developmental Education in Arkansas. Jennifer worked at Harding University with the TRIO Student Support Services Program as the Academic Coordinator. In this role she coordinated a peer-tutoring program, taught a study skills course, and served as the Accommodations Coordinator. In the role of Accommodations Coordinator she wrote individual action plans for students with disabilities and coordinated their accommodations with the instructors. She also developed a learning community program and a peer-mentoring program called CAPS (Coaches and Players). In both of these positions Jennifer was a leader in curriculum development and project management. An active member of several professional organizations, Jennifer is past president of the Association for the Tutoring Profession. Jennifer served as president of the Arkansas Association for Developmental Education and conference chair for the 1996 NADE conference. Jennifer earned her Ed.D. at Memphis State University in Curriculum and Instruction (Reading). She earned her B.A. in Elementary Education and her M.Ed. in Reading at Harding University. She is also qualified to teach English, reading, research, education, and study skills. She is the author of Campus Companion, an orientation text to help students transition to a college campus. Jennifer is the mother of two daughters, Amy and Sally, and three grandchildren, Aubrey, Jaxson, and Jentry .